In 2011, we project managed CDEK, a unique professional development programme for early career visual arts curators. 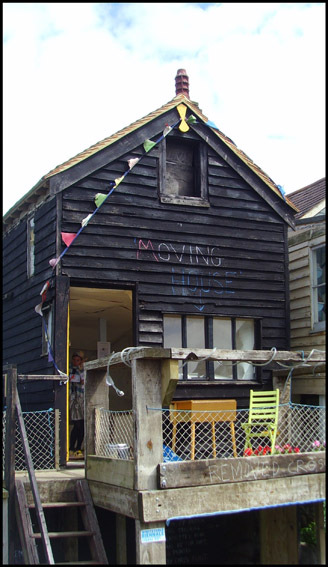 The programme was project managed on behalf of a consortium of visual arts organisations in East Kent led by Canterbury City Council. First established in 2005, CDEK completed its second edition in 2011. The programme successfully placed twelve early career curators with host arts organisations, resulting in high quality, professionally curated exhibitions, seminar events and conferencing. The Programme was guided by the preoccupations and interests of the emerging curators and dovetailed with key development agendas of the programmes at the host partners. CD:EK’s mutually beneficial mentoring relationships between curatorial staff within its programming partners and the emerging curators fostered key career development opportunities for the curators and brought new curatorial perspectives and capacity to the venues and fresh insights into the visual arts for local, regional and national audiences. The complementary natures of the host organisations in relation to location and programming models combined to offer a range of mutually informing opportunities for curatorial development and artistic interventions. Both editions of CD:EK involved organisations with a range of expectations determined by their individual missions and roles, the constituencies they served or represented, their market positioning, their turnover and staffing. Establishing, maintaining and reinforcing these expectations whilst allowing for change and development through defining parameters, setting milestones, allowing for boundary testing and points of reflection, were key in maintaining scope whilst encouraging experimentation. The project management model we agreed and adopted allowed for the wide range of expertise within the CD:EK partner organisations to contribute effectively to the programme. The garnering of the significant resources of strategic overview, curatorial vision, critical awareness, models for peer review, logistics and financial planning within the project partners together with our motivational and enabling skills contributed to an economy where expertise significantly enhanced available finance. Our project management approach to the delivery of a multi-faceted programme involving a broad range of stakeholders such as CD:EK is the development of shared ownership where partners, participants and beneficiaries are sure of their individual and collective contributions and roles from the inception of the project and where levels of responsibility clearly deliver to agreed standards in outcomes and outputs. Whilst building a management framework which clearly identified roles, resources and finance, our approach allowed for anticipated and unexpected change. CD:EK was a professional development initiative which benefited all stakeholders. Local authority partners, arts organisations and the mentees alike addressed the anticipated change that professional development brings. Resource and logistical modelling allowed us to plan effectively to mitigate for change which was not anticipated. Success based on quality, relevance and measurable benefit is key to our approach in all of our work. The investment in CD:EK from Arts Council England, Canterbury and Ashford Borough Council and host arts organisations was underpinned by their desire to support and deliver services of high quality. The investment of time and effort by mentees was rooted in them acquiring developed critical and organisational skills, knowledge, experience, networks and contacts that developed them professionally and equipped them effectively for career enhancement. Agreeing high levels of quality with stakeholders, participants and beneficiaries through inspirational and aspirational exampling underpinned the success of CD:EK by driving up anticipations of what success might look like.